Both shippers and carriers can find quite confusing the process of agreeing on shipments and deliveries. However, nowadays there are apps that can help the shippers and carriers to directly connect to agree on loads while they are guaranteed with complete safety and reliability. Among all the apps offered for our phones, finding this type of app can be hard. To make the search easier, we searched and we have one amazing business app that offers you all that. Let’s see what the app is all about. 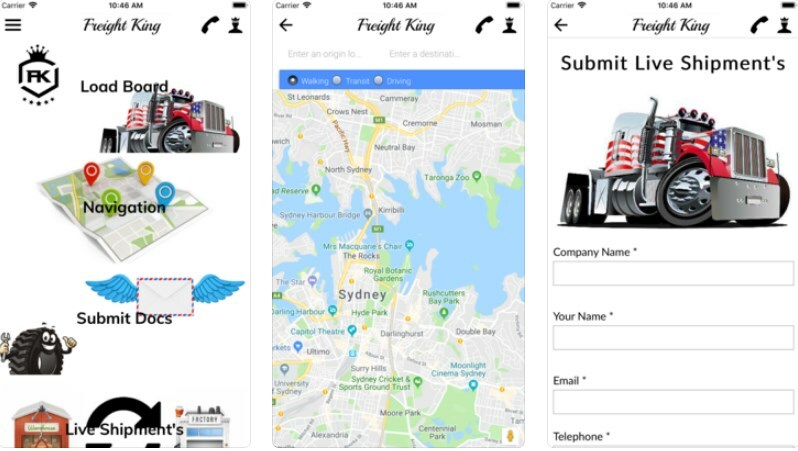 Freight King is developed for Android and iOS users, created as one business platform and marketplace which is reliable and transparent for both shippers and carriers, allowing them to connect directly for full truckload, less than truckload, and intermodal services across the nation. The services offered on the platform give the ability to shippers for submitting live shipments fast and efficiently and the carriers using the platform get a full list of available loads using the website and the app. The carriers and shippers with the app are guaranteed that the services they agreed on are done the right way. The paying is on time, every time and the carriers can even use the Quick Pay for requesting to expedite payment. Daily hundreds of loads are available for the carriers and each carrier has multiple options to consider when booking his next load. These services offer haul of shipments of all sizes and commodities and the network can be contacted 24/7 via email, phone, social media or text message. The right information is available at the right time for the shippers with the digitalized technology to ensure them that their load is safe and on the way. To locate drivers is easily done without the need of another app just with the geo-location available, eliminating all the emails and calls.